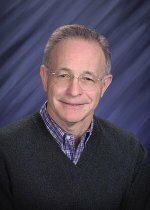 Congratulations to Michel Dupuis at Pacific Northwest National Laboratory on being named an adjunct faculty member of the School of Electrical Engineering and Computer Science at Washington State University-Tri-Cities. In this role, Michel will serve as a faculty advisor to graduate students seeking degrees in computational sciences. Currently, Michel is advising Bojana Ginovska, who is working in the Molecular Interactions & Transformations department of & Chemical and Materials Sciences Division, applying advanced electronic structure methods and chemical rate theories to the characterization of chemical reactions in the condensed phase. Drawing upon his extensive experience in publishing, Michel is also advising Bojana on the two articles she must write and submit to peer-reviewed journals. In addition, Michel has the option to teach courses at the university, influence the direction of the university's computational sciences program, promote publications, and advise other students. He will serve as an adjunct professor until December 2009. Michel was selected for this position because of his more than 30 years of experience in research in the development of computational chemistry methods and algorithms on supercomputers and their applications to chemical problems. Specifically, he works on, and publishes extensively in, the characterization of the electronic structure and reactivity of molecules, solids, and interfaces in processes relevant to environmental chemistry, electrochemistry, biochemistry, catalysis, and nanoscience.